Available in 4x4, FULL 4", 5x5, 6x6, FULL 6", 4x6 and 8x8. Ready to install! Look around and try to find high quality copper post caps at a better price. What you'll find is fence post caps assembled from multiple pieces, screwed, glued and welded together, that allow water to soak into your fence post. 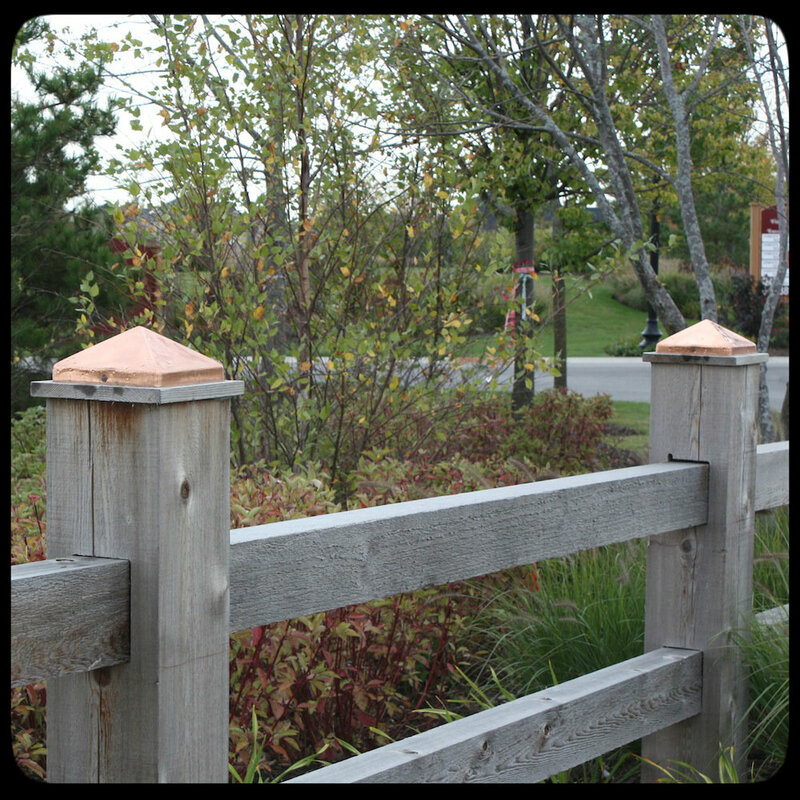 Copper is by far one of the best materials for fence and deck accessories because it lasts, and looks good doing it. You'll notice natural wood and stainless steel handle weather differently than copper in that they tend to slowly break down and wear over time, looking less and less impressive as the years go on. They age gracefully, but not with the pizazz that patina copper brings to the table. If wood and steel are like Grandma and Grandpa – strong, proud and worthy of great respect despite seeing many storms, then weathered copper is the eccentric aunt who shows up with gifts to Thanksgiving. 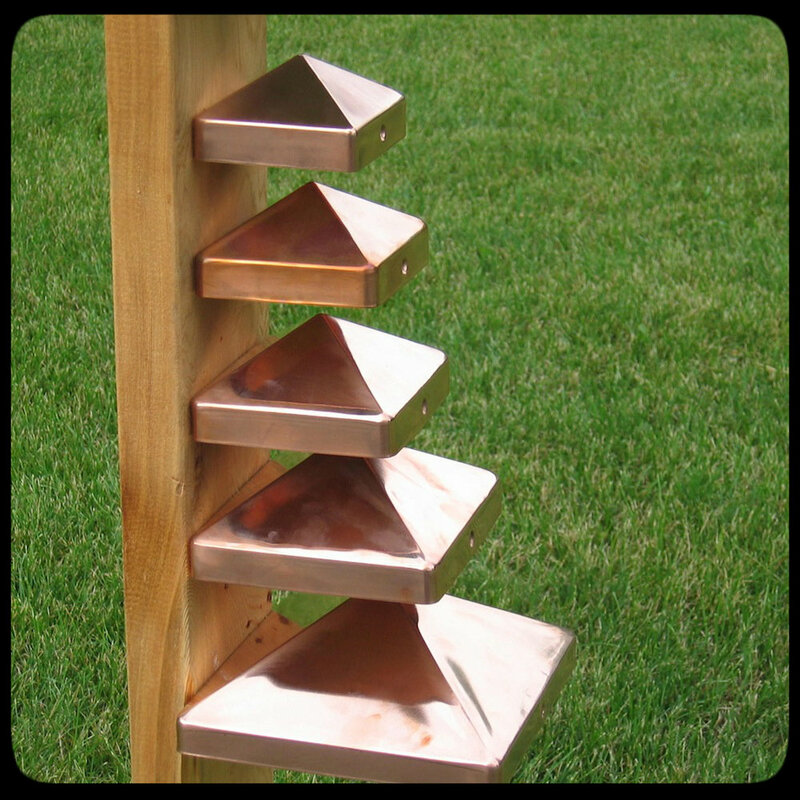 Fence posts decked out with copper will shine from the first day you install them to the final day the post rots away beneath them. Other Products From Post Cap Depot!